The challenge with running a successful Facebook campaign often comes down to finding the right audience. More specifically, it’s related to population density (frequency) and interest (relevance). Even a limited budget can spam a smaller population area (have high frequency) if not handled well. Our Paid Social Team has developed specialized campaigns that are designed to drive awareness and interest. This allows us to then focus on and drive leads. Our Paid Social Team has completed their 2017 analysis of Facebook campaigns and the results are in! Carefully measuring the information we have collected we are pleased to now offer a special program for our clients. Given the success we have found during our trials, this is an industry full of possibilities for dealers across the country. Our new Facebook product utilizes a combination of successful campaign formats to not only capture intent but also to create it. Without getting too technical, we have designed our process to follow the consumer’s typical buying process. We use a specific campaign mix to measure awareness, interest, desire, and where customers are in their purchasing journey. Campaigns move through finely-tuned stages. First, we generate awareness with attractive visuals and personable content. Then, we spark interest by providing easily digestible information. Following this by influencing desire by targeting previously engaged individuals. Finally, we encourage action by using Facebook’s lead capturing tools. Rather than competing solely for the highly competitive “bottom of the funnel” consumers, the Paid Social Team’s strategy looks to dominate the entire sales funnel. We are committed to integrated, data-driven social media campaigns that work. 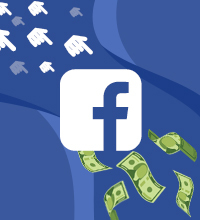 Learn more about the Market-First Facebook Campaigns by contacting our Customer Success Team. We are excited for this new step towards building upon our already strong Paid Search Solutions. We encourage you to ask questions about present and future opportunities to make your mark in the digital marketplace. We are confident that you will find our new services to be the same quality as all the others provided by the team at Convertus.